Green-IT: Enterprise-grade Vork platform serves more traffic with fewer servers! Automatically loads code & object dependancies exactly as needed and never a byte extra! from disk-limited applications, approaching the speed of a cached-response. track a package, get UPS shipping rates, Google Payments & more! Standards-compliant with nearly every web-development standard eases maintenance while maximizes reliability and cross-browser consistency. 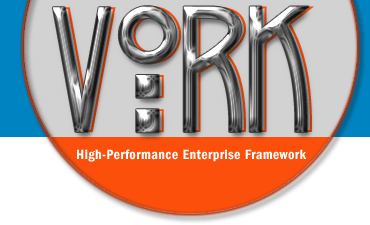 Vork is HTML5 / XHTML 1.1, MVC, Section 508 accessible, object-oriented, adherent to coding best-practices and more. Cost, open-source licenses are free under the industry-standard terms of GPLv3.